The Astra 1x1 Soft Bi-Color panel builds on the popularity of the Astra 1x1 Family, the next generation of LED panels from the lighting professionals who revolutionized the lighting industry. The innovative Astra family of LED panels was years in the making, with every design element of these next generation panels being meticulously crafted. Following the Litepanels tradition of a one square foot form factor, the Astra soft series is designed with select premium quality, high CRI, surface mount LEDs and paired with a soft diffusion panel that provides the Astra 1x1 soft series with a soft wrap around quality perfect for lighting talent and taking the edge off reflective surfaces. The Astra Soft Bi-color has an impressive output that rates among the highest of soft LED panels. This higher intensity results in a longer throw and illuminates a wider area, allowing the panel to compete with strong exterior light sources or illuminate a large area effectively with just a single fixture. 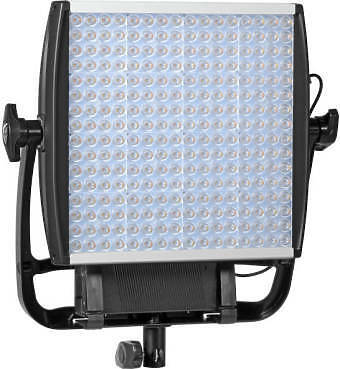 Hire the Litepanels Astra 1x1 Bi-colour LED from Procam. Best service and rental rates for the Litepanels Astra 1x1 Bi-colour LED and all cameras, lenses, sound, lighting and grip.